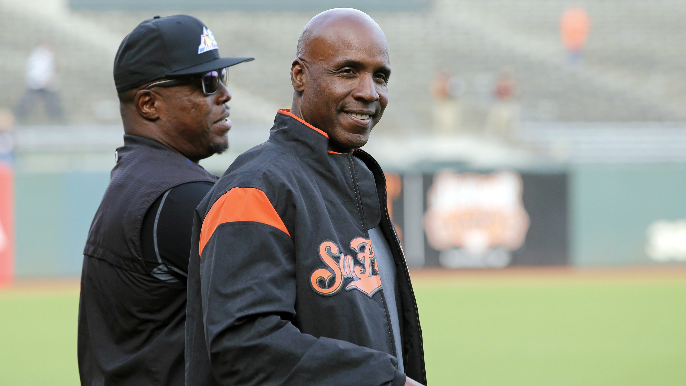 Despite early ballot projections that had him receiving close to 70 percent of the vote, Barry Bonds was not voted into the baseball Hall of Fame for the seventh time, leaving him with three years of eligibility. The MLB’s all-time home run leader and seven-time MVP received 59.1 percent of the vote, a slight improvement on the 56.4 percent he received in 2018. A player must receive at least 75 percent of the vote to be inducted. Mariano Rivera, Edgar Martinez, Roy Halladay, and Mike Mussina were the four players voted in. Rivera received a unanimous selection for the first time in major league history. Bonds continues to find himself on the outside looking in due to PED allegations that surrounded the second half of his career. Bonds has made significant progress since receiving 36.2 percent of the vote in 2013. That number fell to 34.7 percent in 2014 before going 36.8, 44.3 and 53.8 the next three years. From a purely numbers standpoint, Bonds is arguably the greatest hitter to ever play the game. In addition to his record 762 career home runs, Bonds also holds the record for most home runs in a season (73), most career walks (2,558), and most career intentional walks (688). Bonds finished his career as a 14-time All-Star, 8-time Gold Glover, and 12-time recipient of the Silver Slugger award. Former starting pitcher Roger Clemens, who is also being left out do to steroid allegations, received 59.5 percent of the vote. He also has three years of eligibility remaining.